I know many of you are already getting ready for the start of the year. Although I'm not there yet, and I can't show off my room yet, I have a tip to share for those of you rethinking your approach to classroom management. The start of school is an important time to set expectations. 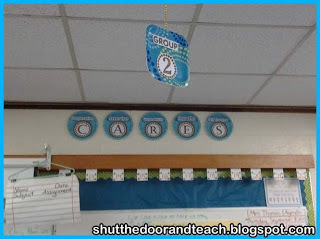 You have your own idea of the routines and rules needed to keep the classroom running smoothly. Often we ask students to help us set rules, and we post them. Another way to discuss rules is to create an affinity circle. I would use chart paper for this activity so you can post it at least for the first month of school, if not all year. First, draw a large circle with a snappy title in the middle. Our school uses "Jumping off to a good start." You can see we changed good to "super" later in the year when we were talking about word choice, haha. 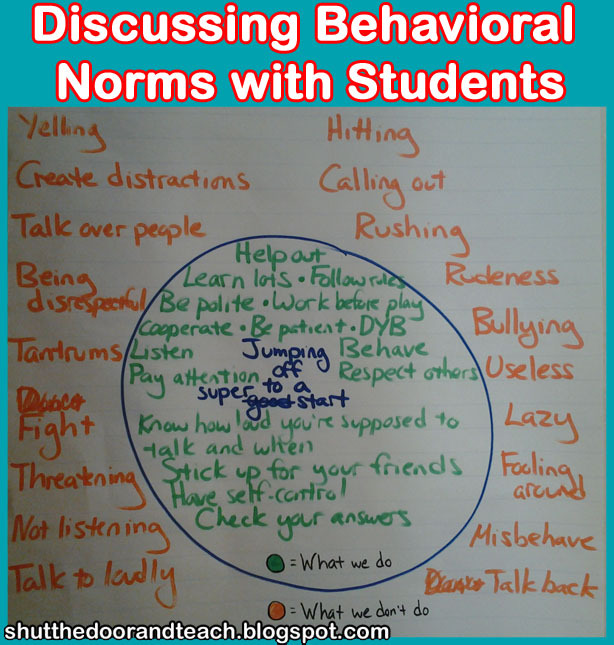 Brainstorm with your students what behaviors are needed to have a great start to the year. If a student says, "No hitting," explain that this doesn't tell you what you SHOULD do, but it's also important to know what NOT to do. Write this on the outside of the circle. 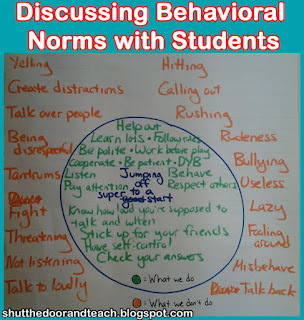 Explain that anything outside of the circle are behaviors that are outside the realm of our classroom. 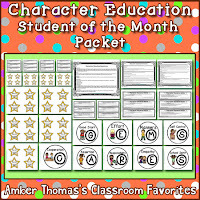 If you are interested in a complete character education program to use with your students, I have one available. 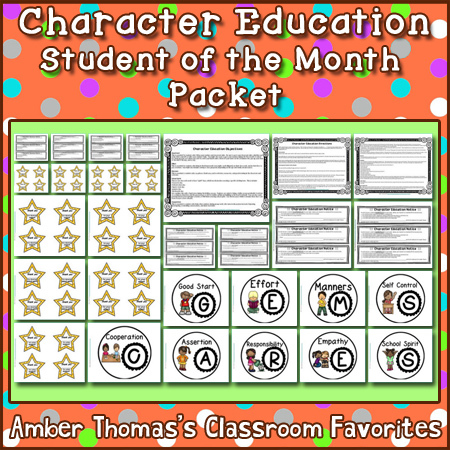 There are certificates for students who demonstrate the qualities, as well as detailed checklists for students who are still working on building character. This packet, along with my entire store, will be on sale for two days only, starting tomorrow (August 3, 2015). You can get 28% off with promo code BTS15.